Our range of products include scaffolding coupler, scaffolding fixed coupler, right angle coupler, scaffolding swivel coupler and expanding joint pin coupler. With the help of our experienced engineers, we are able to design and develop a wide range of Scaffolding Coupler. The products offered by our organization are fabricated using superior quality raw-material procured from the trusted vendors. We are engaged in manufacturing, supplying and exporting right angled & fixed couplers of varying sizes like: 40mm X 40mm, 50mm X 50mm and 40mm X 50mm. These products are widely demanded for various engineering and constructional works and are made under the processes of stamping, casting, and forging according to drawings or samples. We offer wide gamut of Scaffolding Fixed Coupler. We produce & supply right angled & fixed couplers of varying sizes. 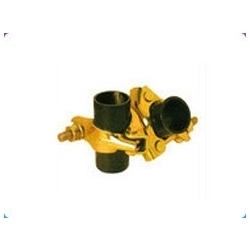 Right Angle Coupler offered comprise precision designed range of right angle couplers that are manufactured under guidance of experienced professionals as per the defined industry standards. Here, the use of latest machines and tools also helps in providing in them flawless finish support. These right angle couplers can also be custom-built as per the specifications provided by customers and designed to deliver longer service life span. 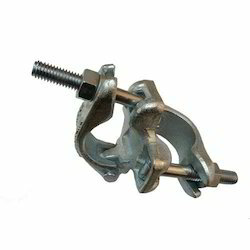 We offer a wide gamut of Scaffolding Swivel Coupler. 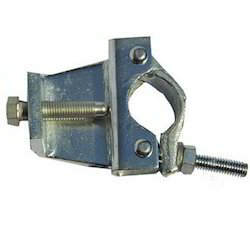 The Scaffolding Swivel Coupler clamps scaffold tubes at any angle. We manufacture these couplers in the various sizes. 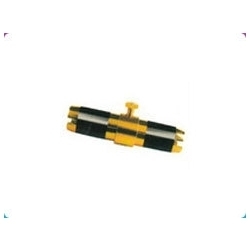 We offer Expanding Joint Pin Coupler. The Expanding Joint Pin Coupler are used for end to end connection when the tubes are in compression. We manufacture & export these expanding joint pin couplers to the domestic as well as to the international marketplace. Expanding Joint Pin Couplers are used for end to end (axial) connection or scaffolding tubes, only when tubes are in compression. Our range of Expanding Joint Pin Couplers comply to the international quality parameters. These sturdy couplers are used for end to end (axial) connection or scaffold tubes, only when tubes are in compression. Looking for Scaffolding Couplers ?